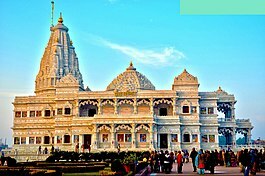 Famous temples in Meerut ,Historical temples of Meerut ,Top holy places in Meerut. 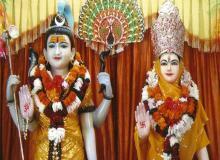 The Augharnath temple is one of the oldest temple of Meerut city.It is a most popular Temple of meerut. 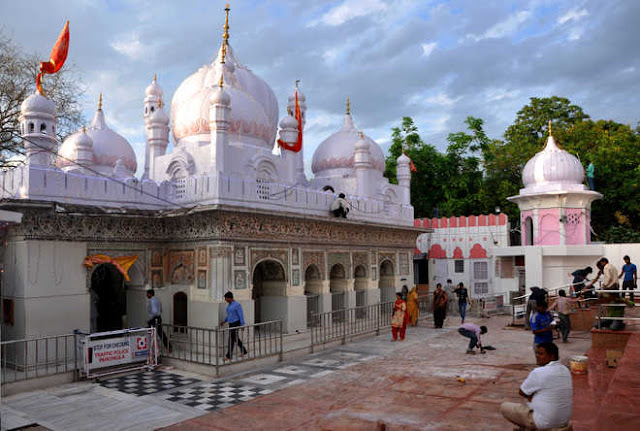 it is also known as kali paltan mandir .This temple is one of the important landmark of meerut having played a sagnificant role during the struggle of freedom and more particularly the sepoy mutiny of 1857.
this temple is close to the army barracks in the cantonment area of meerut. and hence was popularly known as the kali paltan mandir .The temple is a little-known place of worship but of great historical importance all over northern India. Its significance comes out from religious significance but also for its distinctive role in India’s freedom struggle. The temple also has a memorial built to honour the martyrs of the revolt of 1857.
mansa Devi Temple is a Hindu Temple dedicated to goddess Mansa Devi in the holy city of meerut in the Uuttar pradesh state of India. 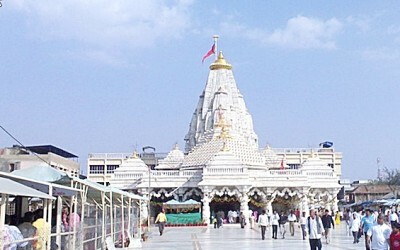 The temple is located a top the Bilwa Parvat on the Sivalik Hills, the southernmost mountain chain of the Himalayas. 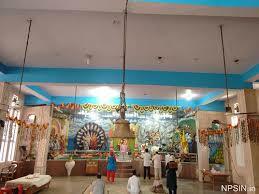 The temple also known as Bilwa Tirth is one of the Panch Tirth (Five Pilgrimages) within meerut. he temple is known for being the holy abode of Manasa, a form of Shakti and is said to have emerged from the mind of the sage (Rishi) Kashyapa. Mansa is regarded as the sister of the Naga (Viper) Vasuki. The term Mansa means wish and it is believed that the goddess fulfils all the wishes of a sincere devotee. Devotees who want their wishes to be fulfilled by Mansa tie threads to the branches of a tree located in the temple. Once their wishes are fulfilled, people come back again to the temple to untie the thread from the tree. Mansa is also offered coconuts, fruits, garlands and incense sticks in order to appease her. Maa Mahamaya Inside the main temple campus, facing the famous Kanthi Dewal temple and the Temple main pond is the splendid dual statues of Mahamaya: the front one is called the Mahishasur Mardini and the hind statue is believed to be that of Goddess Saraswati.